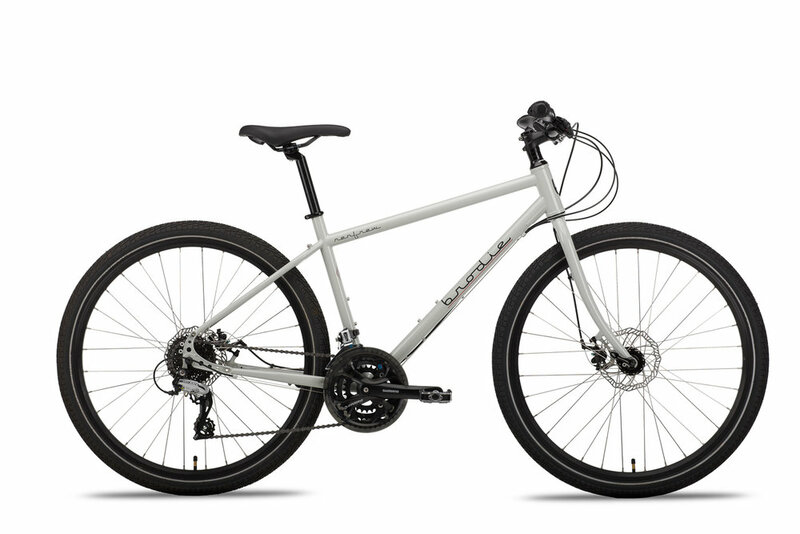 The Renfrew enjoys a high quality 4130 chromoly steel frame, 27.5 wheels and wide 2” tires. With fenders off, you can fit up to a 2.8”, and get even more brap on your ride. The reimagined mountain bike geometry means a great commuter ride with the fun of being able to ride on some less-traveled surfaces. Renfrew uses the same frame and fork as the Torque, but is less expensive, and may be even more versatile. With a 3x8 drivetrain, the gear range is suitable for climbing, even loaded down, or pulling a child in a trailer. The mountain bike position, with wide bars, short stem, and low standover helps the rider feel confident on pot holed roads, cornering on loose surfaces, etc. Of course it has all the braze-ons for attaching racks and fenders, and has room for up to a 2.8 tire. 27.5"x2.0" high volume tires for fast rolling, more comfort and better puncture resistance. 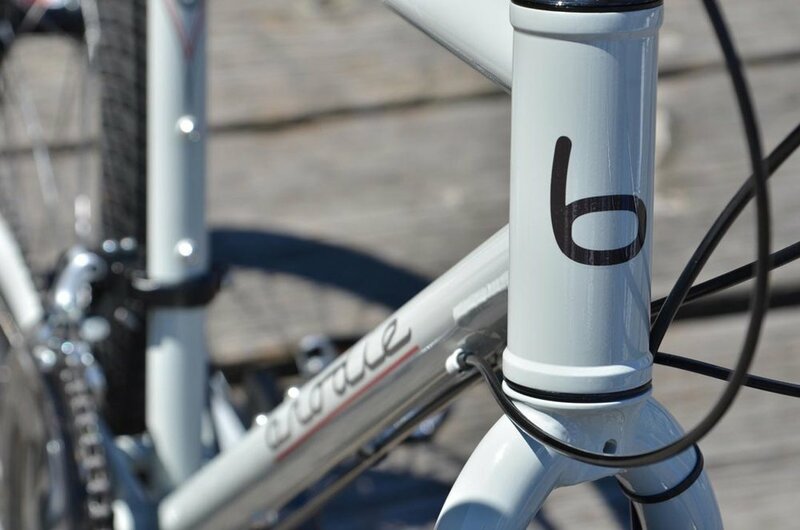 Super smooth butted steel frame and fork. Fender and rack mount ready. 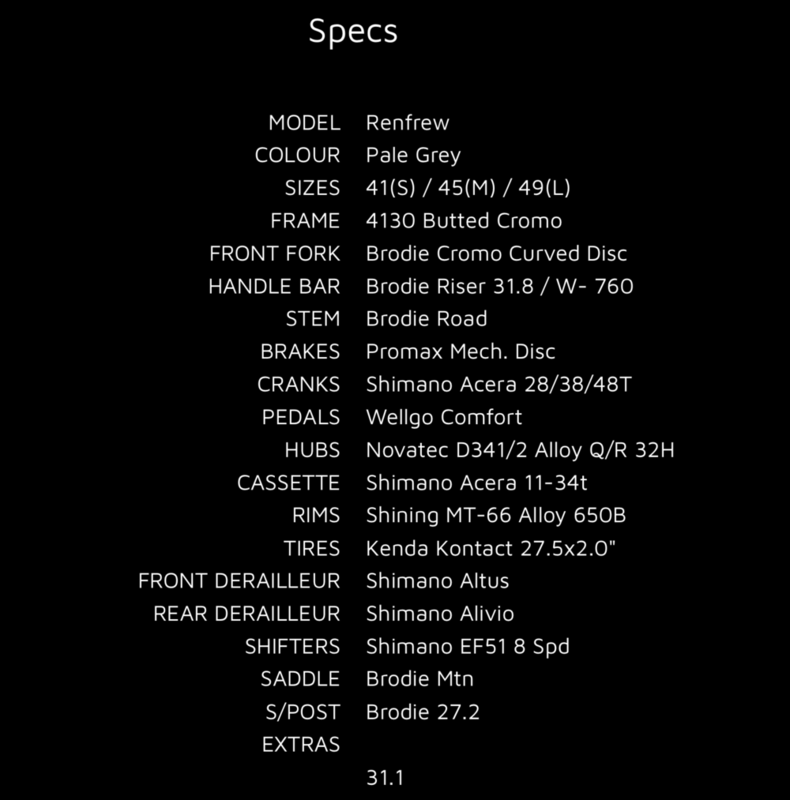 The Renfrew comes with disc brakes for all weather stopping power and a Shimano drivetrain with a wide range of gearing. The Renfrew inspires confidence for commuters and around-town cyclists who need a practical, durable, smooth handling frame, The Renfrew is super versatile and perfect for commuting, sightseeing, errands, fitness, dirt and gravel and all roads less traveled.